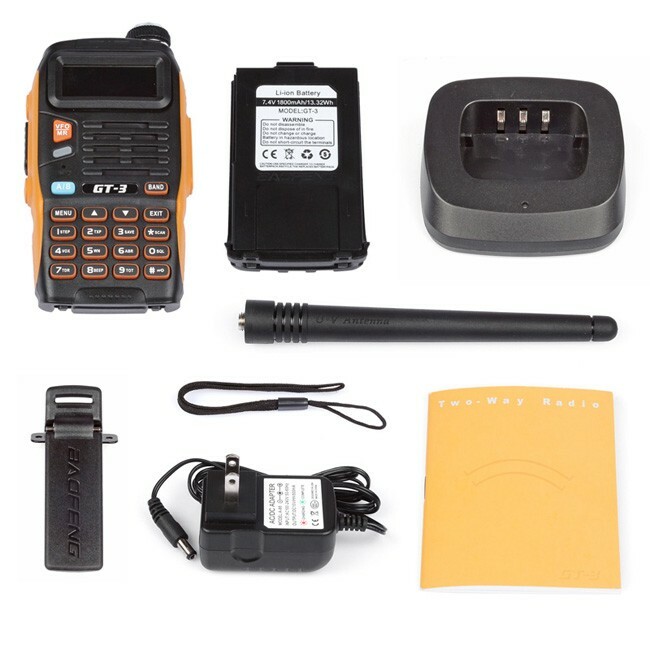 This is the 2014 latest Baofeng two way radio with fashionable and human-oriented features. 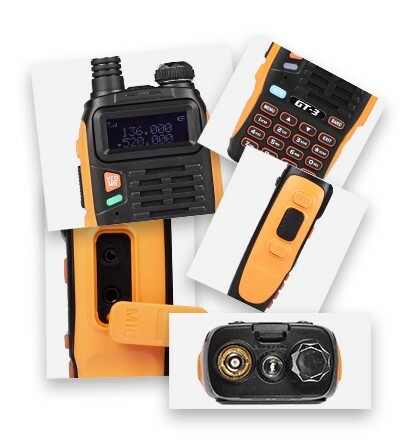 Radioddity is proud to be Baofeng GT-3's selected distributor. Small and lightweight, it is small enough to fit in a pants pocket. Upgraded frame material and black&orange color matching make it more endurable and give it a more fashionable appearance. Multi-Language manual is available, including English, German and French. Moreover, it comes with a user-friendly user manual for bringing fabulous user experience. It's the best choice for gifts and self-consumption. 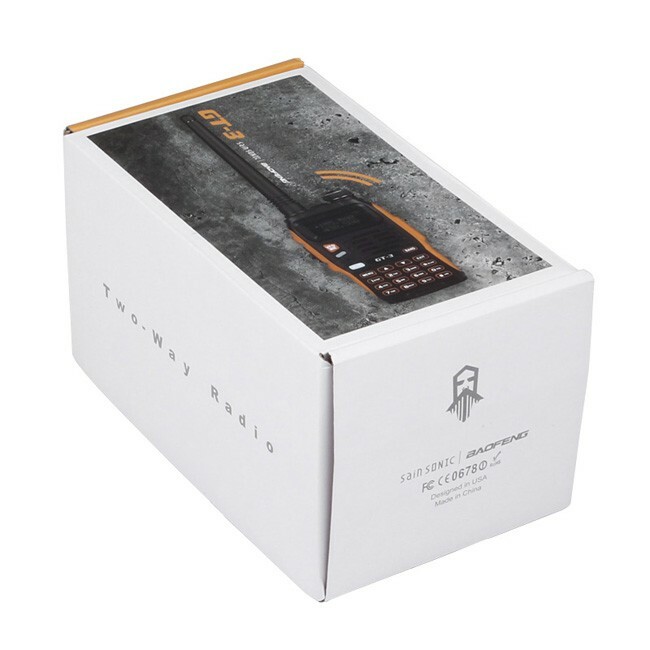 GT-3 is developed in collaboration with Baofeng(The most famous radio producer) and SainSonic(well-known e-commerce brand specializing in sales of electronic products in worldwide). 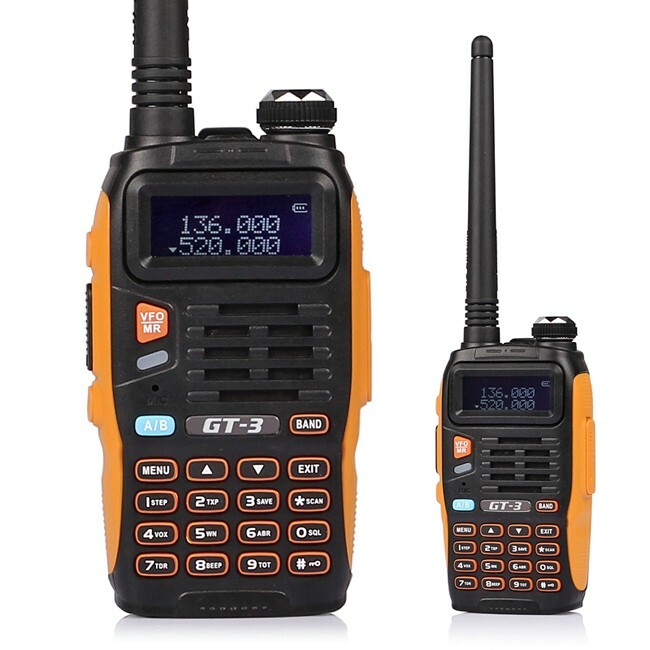 We are the exclusively legitimate website for selling the brand new model 2014 Baofeng GT-3 Two-way Radio. 1. Dual-band handheld transcevier with display function menu on the display "LCD". 3. 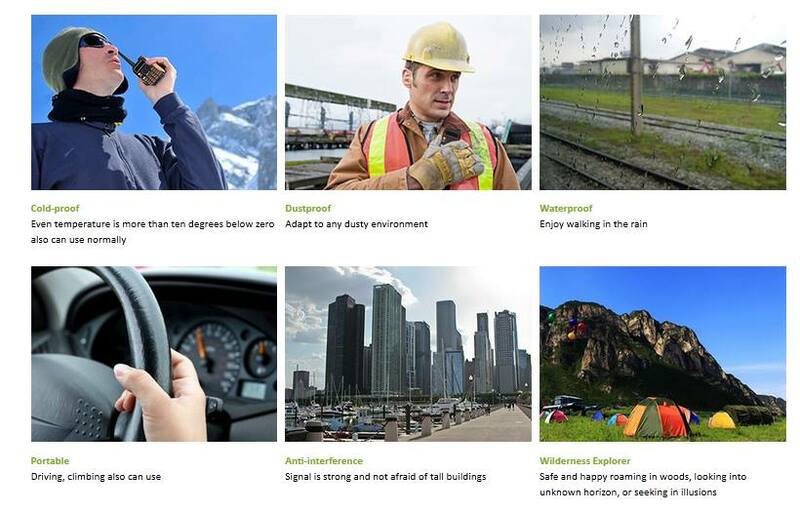 Incorporates 105 codes "DCS" and 50 privacy codes "CTCSS" programmable. 4. Timer transmission "TOT" programmable. 5. Selecting the Scan Mode. 6. 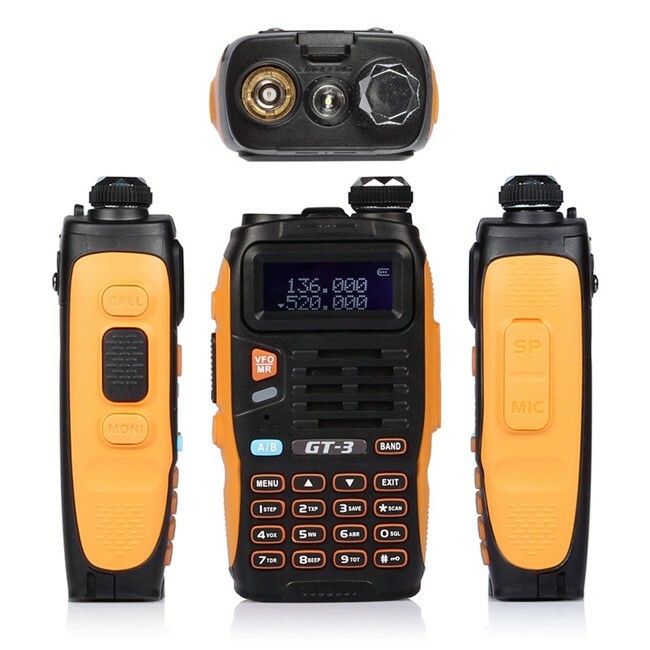 Built-in RX CTCSS/DCS scan, LED flash. 9. Level Threshold "Squelch" adjustable from 0 to 9. Channels 128 groups’ channels storage, more convenient for different operating environments.